The Executive Committee shall exercise such powers that are delegated to it by the Board of Managers and to meet on occasions when an unexpected action item must be considered, and it is not feasible to convene the full Board of Managers. 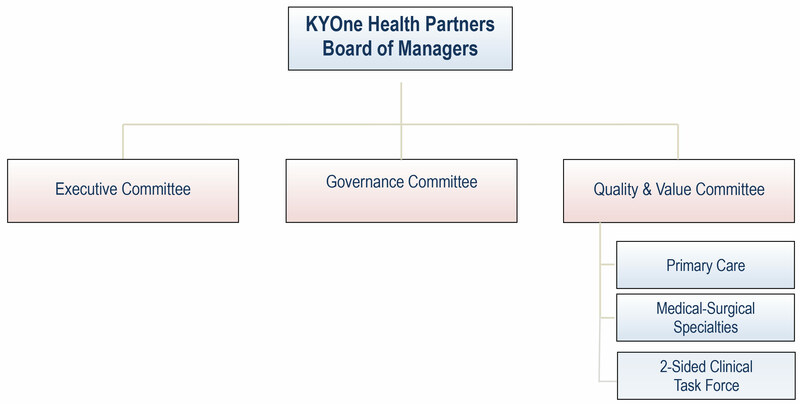 The Governance Committee, an advisory committee to the Board of Managers, is responsible for developing and monitoring the effectiveness of board members. This includes the development of standards relating to the nomination, education, self-evaluation, independence, and fiduciary conduct of board and committee members. The Quality & Value Committee, an advisory committee to the Board of Managers, provides oversight for the care management program and other quality initiatives to fulfill the mission and vision of the Board of Managers. *Board of Manager meetings are held on Tuesdays, generally from 4 to 6:30 p.m. Committee meetings are most often held the same day, at 1 and 2:30 p.m.